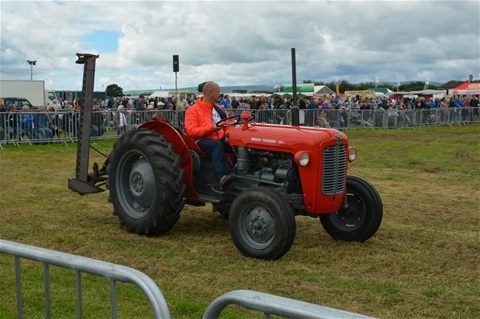 The Massey Ferguson 35 developed from The Ferguson TE20 (Little Grey Fergie with its all grey colour.) 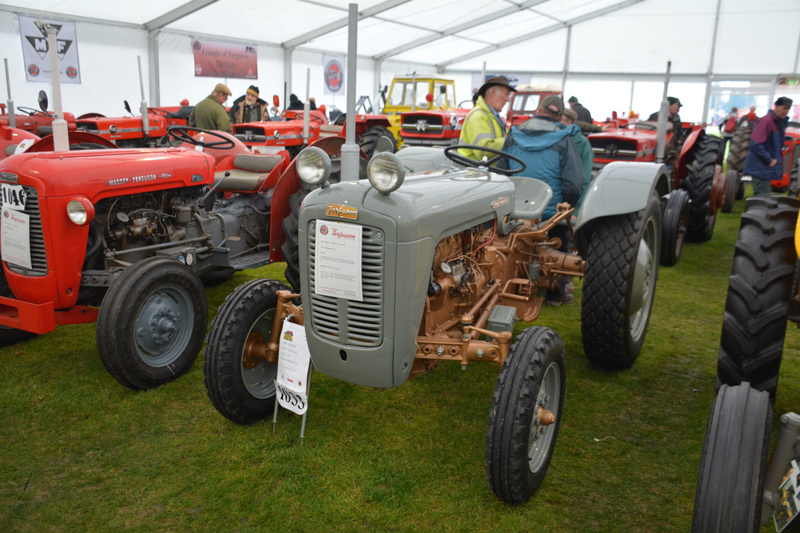 In 1956 the Grey Fergie was replaced by the Ferguson FE35 (the British version of the North American TO35) which had grey sheet metal parts and a golden bronze colour to the castings-hence the nickname it got of ‘golden belly’. This changed to the MF35 with the red sheet metal colour and the grey castings in 1957. Of course it was fitted with a more advanced Ferguson System with position control on it for the first time. The hydraulics were operated by 2 hand levers, oil pressure and pump capacity were improved resulting in better performance. The difference to the colour scheme was the only difference between the MF35 and the Golden Belly at first. 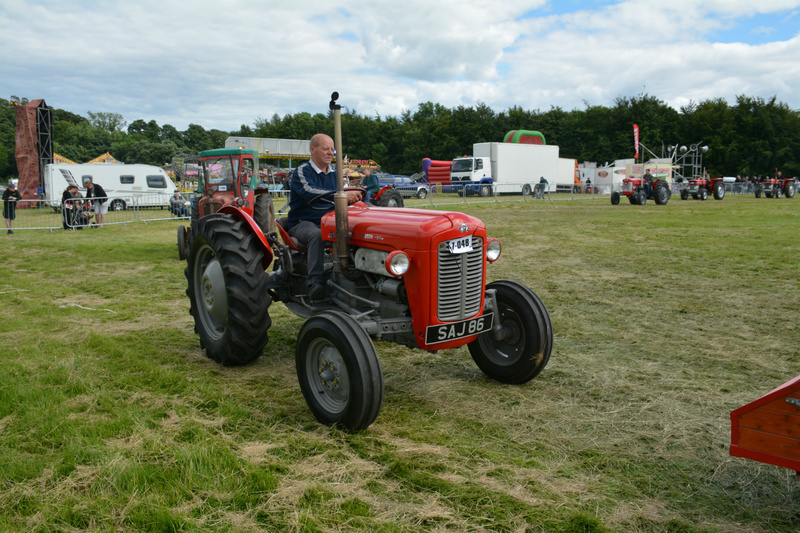 They were built in Coventry and had the new Massey Ferguson badge. The MF35 was the first tractor to display the new Massey Ferguson colours. 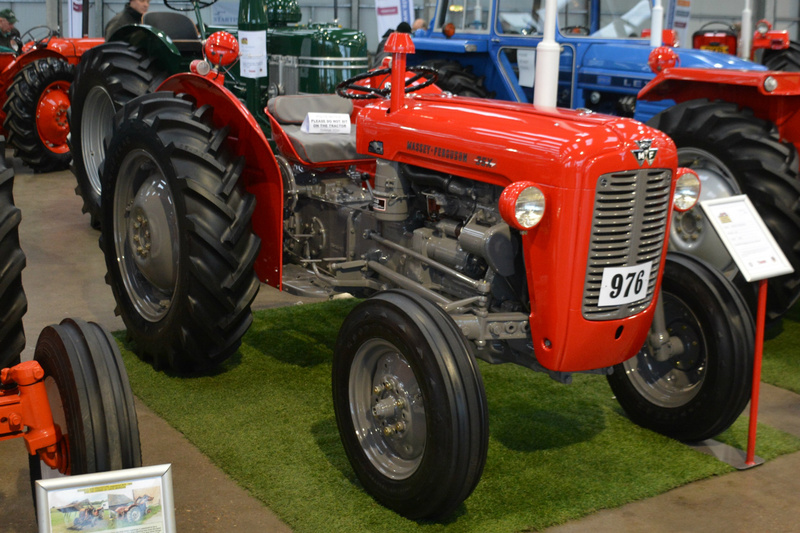 The early MF35s (and the FE35 they replaced) were first rate tractors in the small tractor market. However, there was a problem with the diesel engine version of the 35 which was not an ideal match for the transmission ratios, had poor torque and was a notoriously poor starter. However Perkins Ltd was acquired in 1959 (from -Peterborough) and during that year the MF35 was sold with a 37HP Perkins diesel engine. This solved the starting problem, increased torque, was more economical and maintenance costs were reduced. This probably made the MF35 one of the best tractors in its class at the time. The MF35 was also built in France with a few alterations (e.g. lights and signalling equipment to comply with French road rules) and was called the MF 835 there. In Dec of 1962 the MF35X was introduced and replaced the MF 35. This produced 44.5HP and had the option of Multi Power which increased pulling power without having to change gear. 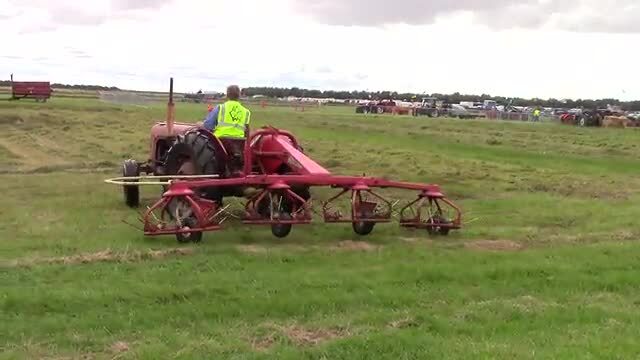 This gave the tractor 12 forward gears and 4 reverse. Engine breaking couldn’t be used in the low range. The MF35X was in production until 1964 when it was replaced by the MF135 in 1965. Engine Perkins A3.152 thee cylinder diesel. Size. Length 117”. Width 64”. Wheel base 72” .